Victoria Chamberlain grew up in Pass Christian, Mississippi. She received her juris doctorate from Mississippi College School of Law and bachelor of arts degree from the University of Southern Mississippi. While in law school, Victoria served as an extern with the Mississippi Court of Appeals under the guidance and direction of Chief Judge L. Joseph Lee. 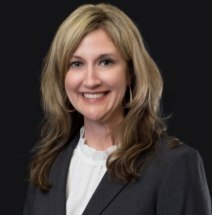 Following law school, Victoria worked as a staff attorney for the Mississippi Department of Human Resources and as a staff attorney for the Honorable Jennifer T. Schloegel in the 8th Chancery Court District of Mississippi. Victoria joined the firm in March 2014. She handles medical malpractice, casino accident, car accident, and other cases involving severe injury and wrongful deaths throughout the State of Mississippi.